Immigration is movement of people across borders for education, health, security, jobs, money and standard of living. International English Language Testing System popularly knows as IELTS tests English proficiency across the globe. Conducting 1.9 million tests in 2012, IELTS is the world’s most popular high stakes English test for work, study and migration. IELTS tests are held in over 800 centers with tests up to four times a month. IELTS respects international diversity and is fair to anyone who sits the test, regardless of nationality. The IELTS Test it is jointly owned by three reputable, international organizations: British Council, IDP: IELTS Australia and Cambridge English Language Assessment. It is conducted in India by the British Council and the IDP. There are centers located all over India. Global Education Ideas offers training and preparation for IELTS at its office and online. It’s experienced language experts assess the student first and then custom design a training plan to match the targeted outcome. IELTS is one of the critical parts of the overseas process, be it Education or Permanent Residency. It can make or break your global dreams. In today’s world getting a Canada PR has become very competitive with so many people globally trying for PR it is a tough competition as everyone is trying to make their profile better than one another. We see many applicants are not successful only because of their IELTS Score. It is now very important and a necessity to meet the golden score of 7, 7, 7 & 8 to successfully get an Invitation to Apply. Let us know this with an example that how a 7, 7, 7 & 8; can make your PR !! Anita a candidate, is looking for Canada PR. Her Age is 26, Education Bachelors Degree, Work Experience 4 years and IELTS score assumed 7,7, 7 & 8 bands, with no siblings in Canada. In her CRS Breakdown, she gets 124 points in Language Proficiency; in skill transferability factors, in the combination of Language Proficiency and Education she gets 25 points, and in the combination of Language Proficiency and Work Experience she gets 50 points. Her overall CRS Points come to be 429. Now if we cut her IELTS score from 7,7,7 & 8 says to 6.5 in Writing. Her Language proficiency points are reduced to 116 a difference of 8 points. In skill transferability factor, in the combination of Language proficiency and Education, points are reduced to 13 points a reduction of 12 points. In the combination of, Language proficiency and Work Experience points are reduced to 25 points a difference of 25 points. Hence the overall CRS points get a reduction of 45 points, making her score as 384. In the above example, you saw how a mere 0.5 point band difference can make or break your CRS Score. This brings in a requirement of an expert trainer to give you rigorous Coaching and Training to cover up this 0.5 difference and achieve your desired 7,7,7 & 8 scores. Language Proficiency (via IELTS test) is the only CRS factor which is under one’s control and can be achieved with dedicated practice and hard work. Our expert faculty is with years of experience in journalism, mass communication, writing for journals and publications and English coaching. And has coached at reputed institutions and have trained various students in IELTS/TOEFL/GMAT. Join our training program now and see the difference. Any specific area you want advise on? PEARSON TEST OF ENGLISH popularly known as PTE is a new, international, computer-based academic English language test. The test accurately measures the listening, reading, speaking, and writing skills of test takers who are non-native speakers of English and need to demonstrate their level of academic English proficiency. Global Education Ideas has experts who train students for PTE in office or online. Citizenship and Immigration Canada (CIC) divides your investment between participating provinces and territories. They will use it for projects to develop their economies and create jobs for five years. When your application is approved by CIC, you must make your investment before they issue a permanent resident visa. You must usually do this within 30 days. Contact Us to discuss your profile and eligibility. 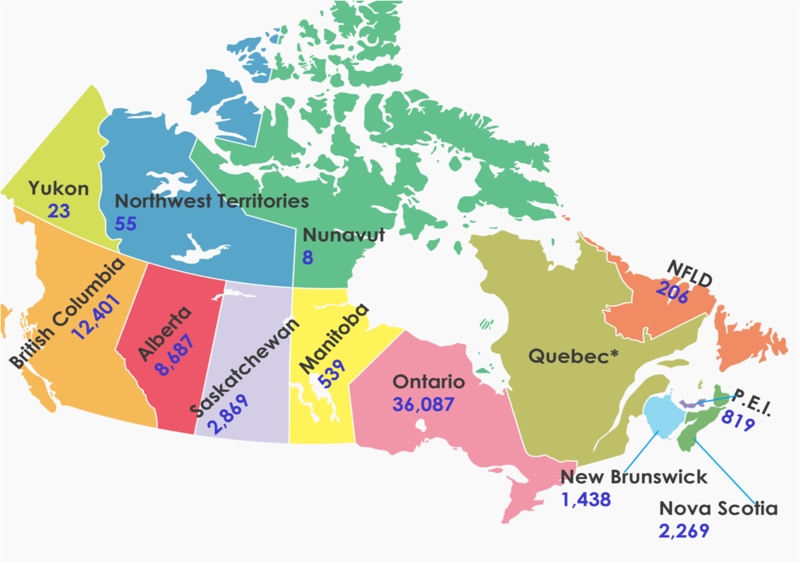 It is a program through which most of the provinces and territories in Canada can nominate immigrants called the Provincial Nominee Program (PNP). These immigrants must have the skills; education and work experience to contribute to the economy of that province or territory and must want to live in the particular province. This is a way through which PNP’s are aligned with Express Entry and without Express Entry. Each province and territory’s streams have their eligibility requirements and nomination guidelines for their PNP, which can change without notice. 1. Providers of a service of exchanging a virtual currency against a fiat currency: – It allows exchanging fiat to crypto, crypto to fiat, crypto to crypto. 2. Providers of a virtual currency wallet service:- It allows providing virtual currency (hot and cold) wallet service in the framework of which the company generates keys for Clients or keeps Clients’ encrypted keys, which can be used for keeping, storing and transferring virtual currencies. To apply for the mentioned license(s), it must be done via a company registered in Estonia or through a registered branch office of a foreign company in Estonia. As a rule, suggestion is to use a local company not a branch office, as branch registration is clearly a more complicated task. When a local company is registered and all required documents collected, state fee of 345EUR will be paid and apply for the license(s). During the license application process you will be assisted in current matters, as authorities often have more questions or they need some clarifications. In case of a corporate shareholder (of an Estonian crypto currency company), officials usually will ask for the criminal record of the shareholder company and ALL related persons to that company (shareholders and board members). This means that using a corporate shareholder in your structure might complicate things a lot. Therefore the suggestion is to avoid using corporate shareholders. An application for activity license shall be processed by the Financial Intelligence Unit (FIU) by granting or refusing to grant the activity license within 30 working days as of the date of submission of the application. During the procedure the FIU can ask any questions or ask for any detail till it is wholly satisfied in issuing a license to you.